Thank you for your interest in EOG Pod. Please complete and submit the form below and an ADInstruments representative will aim to get in touch within one working day. If you’d like to speak to someone immediately, office contact information is available from the contact page. The EOG Pod utilizes the steady corneal-retinal potential in the detection of eye movement and position. 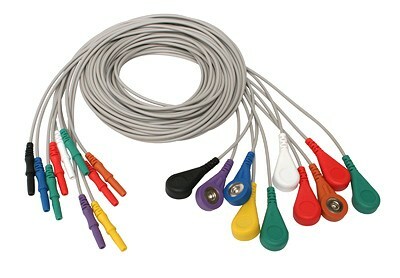 The pod can also be used for EEG or EGG recordings (contact your ADInstruments representative for further information). If you want to use the EOG Pod with a PowerLab or MacLab that has no Pod port, you will require the Pod Expander. DC coupling with a fixed low-pass filter (500 Hz) to remove high frequencies. An offset knob to manually remove DC drift. The offset control provides ±15 mV of offset range (at input) for all range selections. Steady corneal-retinal potential (dipole) for the detection of eye movement and position.